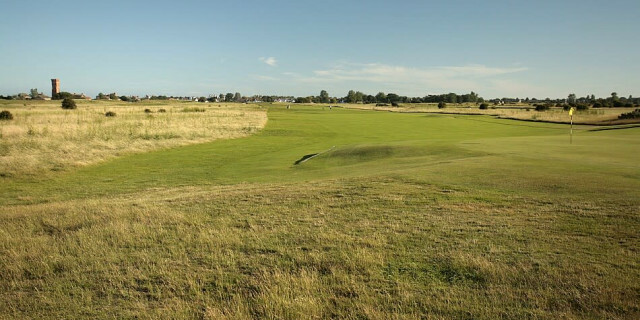 Littlestone is a unique and atmospheric championship links course laid out on the natural undulating links land between the famous Romney Marsh and the English Channel in the South East corner of Kent. 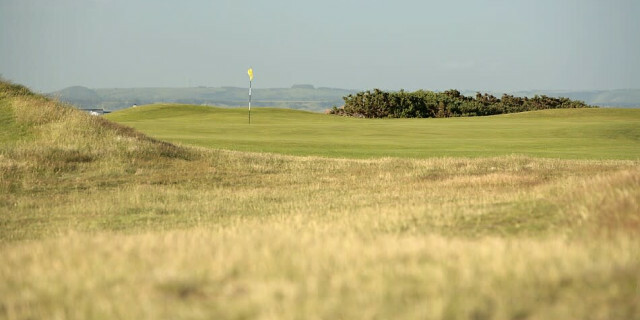 The course is recognised as being one of the Top 100 Golf Courses in England with some of the best examples of firm, true and well paced putting greens in the UK. 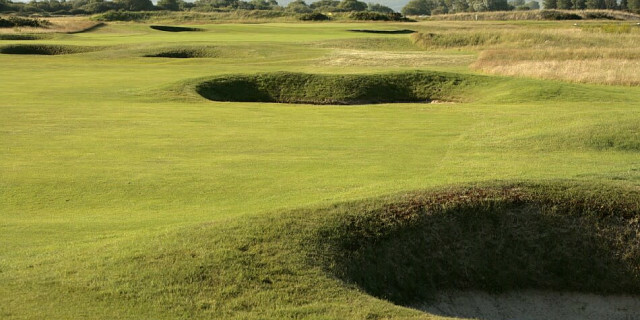 Littlestone has hosted many major championships and has a long and distinguished history. 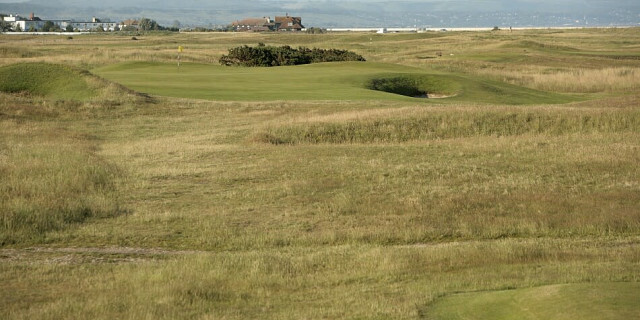 The club was justifiably proud of again being chosen as a Final Qualifying venue for the 2011 Open Championship and will host the Junior Open in 2020. Having been instrumental in the development of Royal St George's Dr Laidlaw Purves was also involved in establishing Littlestone Golf Club in 1888 and then developing it. Again it was a course primarily for the London based gentry. Dr W Laidlaw Purves (1843-1918) was an interesting character. He was a member of the three big pioneer clubs: the R&A, Blackheath and the Honourable Company of Edinburgh Golfers. More importantly he was involved in the establishment of some of southern England’s seminal golf clubs, Royal Wimbledon and Royal St George’s, Sandwich and Littlestone. He was a doctor by profession, and obsessive about golf, winning his last trophy when he was 71, playing with a handicap of 3. He was a controversial figure and spent a lot of time developing rules and handicapping systems. He was a champion of ladies golf and with Issette Pearson was a force behind the 1893 meeting that led to the formation of the Ladies’ Golf Union. As a proud Scot, Purves was an important figure in spreading the gospel of golf south of the border. This course was redesigned in the 1920s by one of my favourite golf architects Dr Alister MacKenzie. He adapted changes instigated on the advice of James Braid in 1909. 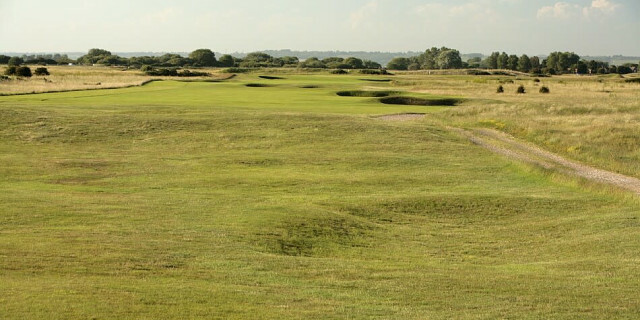 The club founder was Henry Tubbs and it was built on a sandy area of land North East of New Romney known as The Warren. Again its popularity was directly entwined with the train line. It is interesting for me to note that housing developments and golf courses went hand in hand at this time as well as now. In 1892 planning applications were submitted for the erection of “snug bungalows nearby for the delectation of the woman-hating bachelor”. How times change! In 1891 Littlestone Ladies Golf Club were formed but they were not allowed to play on the main course without committee permission. This led to the development of a separate nine-hole course for ladies use. Gloria Minoprio joined Littlestone Golf Club in Kent in 1931. The subscription was six guineas. She later became famous as the first woman golfer to wear trousers and she only played championship golf using one club. This cleek, (like a 1 or 2 iron) was used for every shot including bunker play. She later became an accomplished magician travelling to India to put on shows for Maharajahs in return for charitable donations. She travelled to events in a Rolls Royce with her chauffeur/caddie who carried only a bag of spare balls, a spare cleek and a duster with which to wipe the club face between shots. Her golfing activities provide a wide ranging and fascinating story told originally by Nick Pitt of the Sunday Times and later adapted into a blog article by Rhod McEwan. Littlestone is a genuine links course but unlike Sandwich (RSG) and Deal (RCP) it has relatively few large sand dunes. At first glance the ground appears flat but there are subtle contours, swales and ditches that make it a genuine challenge. The greens are nothing short of superb. On the morning of our visit we enjoyed millionaire’s golf by following the green staff on the links as they ironed and manicured the surfaces. These greens are some of the best I have ever played on. They were magnificently true in every respect. My main playing challenge was actually getting onto the greens in a reasonable number. When travelling to this location please travel via New Romney town and follow the B2017. Some Sat Nav systems will try and take you via an unmade and potholed coastal road. This will also take you past Littlestone Warren Golf Course. Although a shorter course we discovered that many of the low to scratch players from Littlestone use it for practice as the greens are small and tightly formed. We did not get to play this facility but I am already forming plans to return and both courses will be included in the itinerary. Visitors and societies are welcome every day of the week & they offer packages to suit all budgets. Littlestone claims that visitors are members for the day. Having seen this phrase on the website prior to travel I thought it a little twee but my experience of visiting was a 100% positive one. We were made to feel extremely welcome, other visitors I saw during our visit reported similar experiences. The professional Course Record was set by Paul Wesselingh 64 during Final Qualifying for the 132nd Open Championship on 14th July 2003. The Amateur Course Record was set by Billy Hemstock 65. During the English Men's Amateur Championship on 28th July 2009. It has been an Open Championship and Women’s British Open qualifying venue on many occasions such is its quality. We arrived at Littlestone very early due to a lack of anticipated traffic and after introductions to the professional began a wonderful golfing experience. At 0735 am I hit my drive on the 300-yard par-four first hole. If you have not played this course before I would recommend that you invest in one of the course planners. 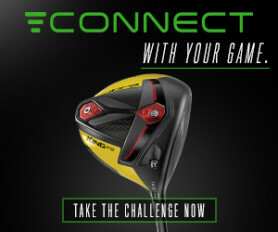 They are excellent and provide a visual depiction of the best lines and angles for play off the tee. Our only companions were the green staff and the wildlife that covers this epic course. The second hole at Littlestone is a brilliant par four. The tee is exposed, and drives must avoid three fairway bunkers dotted down the right hand side of the fairway. Watch out for the ditch that cuts across the fairway at its mid point. Even with a great drive, a mid to long iron still remains, but the second shot is one of the more difficult approaches I have encountered. There is a gap, no more than ten yards wide, in line with the middle of the fairway and the flag, but two huge mounds, both left and right, lie in wait. Anything pushed or pulled will settle in sand or heavy grass mounds, and anything thinned will run up a steep slope at the back of the green. The sixth is the shortest par three at Littlestone measuring 158 yards from the championship tee. The small green is substantially raised and very hard to hold. A pot bunker patrols to the right of the green waiting for any overly cut shot. If you miss the putting surface left and run down the steep bank you will face a difficult challenge to maintain par. The par-five seventh at 544 yards is probably the best long hole on the golf course. Drives are hit from an exposed tee to a fairway that turns slightly at the 200 yard mark. Anything hit too straight will find the rough, and anything left will find sand or a series of grassy mounds. After a good tee shot, the decision must be made whether to take on a ditch that dissects the fairway some 130 yards short of the green. All of the par threes are notable and enjoyable, including the 185-yard 14th. Having played several MacKenzie courses they all have his touch and hand in the design. His genius shows itself in the greens and bunkering. His ideas of ensuring the most natural look and feel have been maintained in all of these holes. Each short hole gives an opportunity for a “pleasurable achievement” one of his design ethos. The 17th is the longest and hardest short hole on the course and is magnificent.Tee shots are hit from an elevated tee, and must carry at least 150 yards to avoid landing in penal rough. The visuals on this hole are beautiful; the rough area looks considerably bigger than it actually is. The green itself slopes heavily from back to front and is protected on all sides by thick rough and sand. If you hit short and left you will find a cavernous bunker, leaving a completely blind second to a green some 10 yards above the level of the sand. This is a fantastic hole with which to bring a round to an end. I would imagine there are many decent scores obliterated by this hole over time. Having played this once, it would play on my mind when playing again. It has an aura similar to the one I faced when playing the 17th island green at TPC Sawgrass. The 18th is a par five to finish, with drives hit from an elevated tee to a fairway that turns slightly from right to left. Several fairway bunkers litter the landing and lay up areas, but you should have no more than a wedge for your third if you hit two well executed shots. The green, though, slopes significantly from back to front, and is protected by two deep pot bunkers and numerous run-off areas. This is a classic links hole requiring a well executed strategic approach that is well suited to bring the round to a close. Littlestone Championship Links is a tough but fair test, with some brilliant holes and a challenging closing stretch. The greens we enjoyed are some of the best on which I have had the pleasure. Visiting Littlestone was an absolute pleasure in all respects. When, not if, I return to this area in the future I will definitely take a full day to savour it again together with an attempt to play its smaller cousin next door.